A character is personality. Without story, there is no personality. Every good character starts with a story – the design of the character should tell that story. 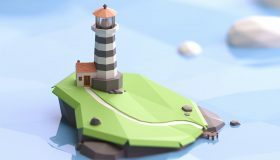 If you’ve read my previous article How To Make Low Poly Look Good, I mentioned that low poly design is all about conveying a message with the least amount of shapes possible. This is especially true when it comes to designing a low poly character. 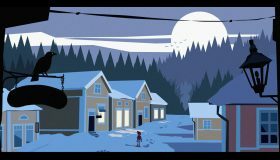 You need to convey a story with as few shapes as possible. 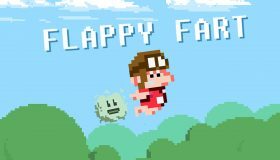 Whether you are designing a character for your game, movie, illustration or other personal project – the following concepts still apply. 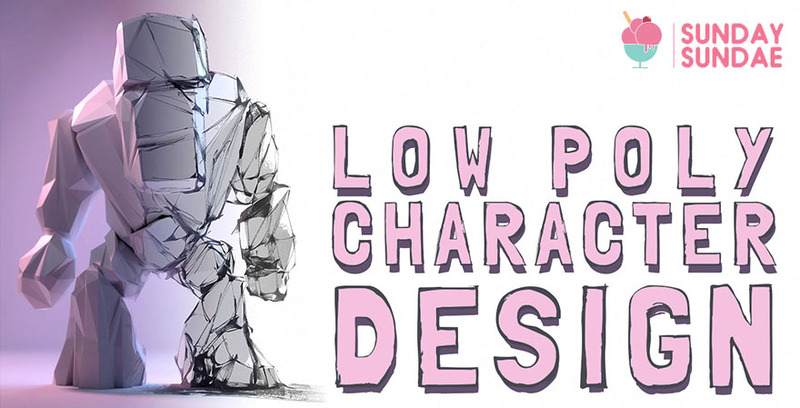 Read on as we delve deep into the world of low poly character design! 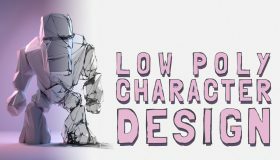 Character design in general deserves an article on its own so we won’t go too deep on this, but let’s at least look at some basics as it will help us a lot later. Before we start making our character, we need to identify who and what our character is. You don’t need to write an essay about it, but try to think about what defines your character. There is nothing wrong with that of course, but we want to avoid labeling our character as generic. Depending on your goal, this does not need to be too involved, but the more information you have on your character, the more you can lean on that in your design process. What type of character are you making? What’s happened to it, what is going to happen? What kind of situation is your character in? What’s the social status of it? These are all broad questions, but are generally easy to answer, and will allow you to build further by asking yourself more detailed questions about it. I like to think of low poly as removing as much detail as possible without losing the essence of what we are making. This is why I find it important to define our character properly before diving into the design process. If we are going to limit ourselves as much as possible in terms of polygons and textures, we need to be really clear with what we want to display. While we want to simplify as much as possible, we need maintain enough shapes to allow for expressions. Now there are many ways in which we can give our character expressions. It does not necessarily mean “We have to put eyes on our character!”. Expressions can also be shown through motion, colors and shapes. As you can see in the image above, we need very few features to define our character. We don’t even have arms, feet or even a face, and yet we can clearly see that this is a working woman. 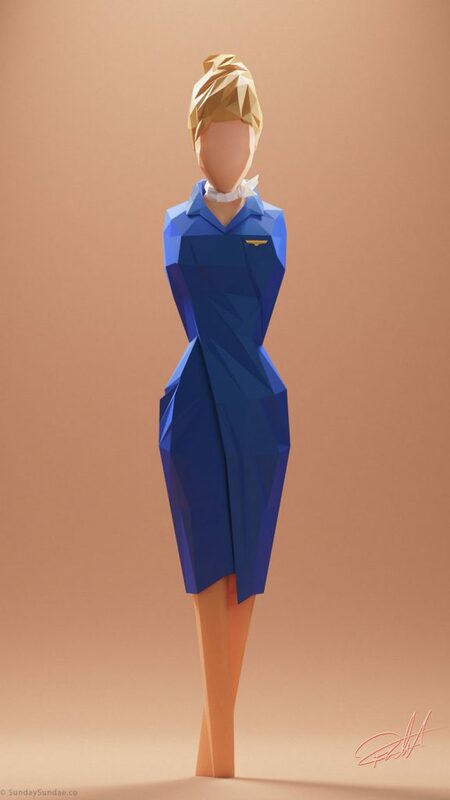 Perhaps a flight attendant or an officer? Above are 4 levels of complexity, ranging from a face with nose, eyes and eyebrows all the way down to nothing at all. And yet, each image clearly depicts a young male, there is no mistaking that. This is when we need to decide: How much information do you NEED in order to convey your message. My personal preference is actually the boy without a face here. Unless I need to put intricate facial expressions on him, I would probably go for the faceless one. It allows for some imagination in the viewers eye, and a sense of mystery. 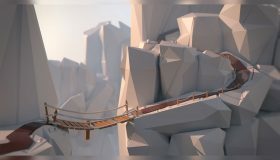 Next we will talk about shapes, but before we do, I would like to take you on a brief tangent so that we can understand what low poly really is. Low Poly artwork in general goes hand in hand with cartoons. In essence, I find that low poly art sort of is cartoons, at least a close cousin. What I mean is that cartoons tend to be simplified shapes, exaggerated with bright fun colors. There are some moodier variants as well, but they are still based on these fundamental properties of cartoons. One studio in particular paved the way for almost all cartoons we see today. And you all know which one.. I am of course talking about Disney. Disney Studios have always been masters of taking the most absurd concepts and turning them into something we all believe in and love. Just take a step back for a moment. Mickey Mouse is a talking mouse wearing only shorts and size 19 shoes. And yet, this doesn’t strike us as odd at all, it just makes it funny and memorable. His friend Goofy is a dog, Mickey also has a pet dog named Pluto… Hmm so why isn’t Goofy a pet as well? He is a dog like Pluto and why are we not questioning it? 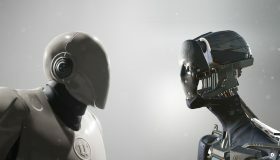 Well, every talking character has been given clothes, this gives them the social status that they are intelligent and civilized. Pluto is treated as a pet and therefore is not given any clothes, only a collar. This is an excellent example of how they have defined each character with a social status and incorporated it into their designs. I highly recommend looking closer at Disney’s work as well as other studios you admire and how they portray their characters. The reason I brought up Disney is that, they also happen to be very good at designing clean, readable shapes. A good place to start is with the silhouette. 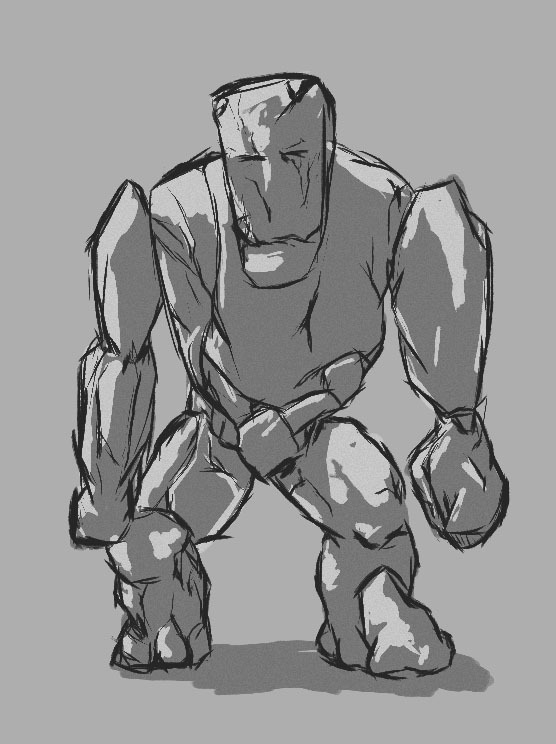 Once you have an idea for a character, start sketching out rough shapes and experiment with proportions and poses. If you are not good at sketching freehand I would suggest blocking in shapes in a digital sculpting software such as Zbrush or Blender. 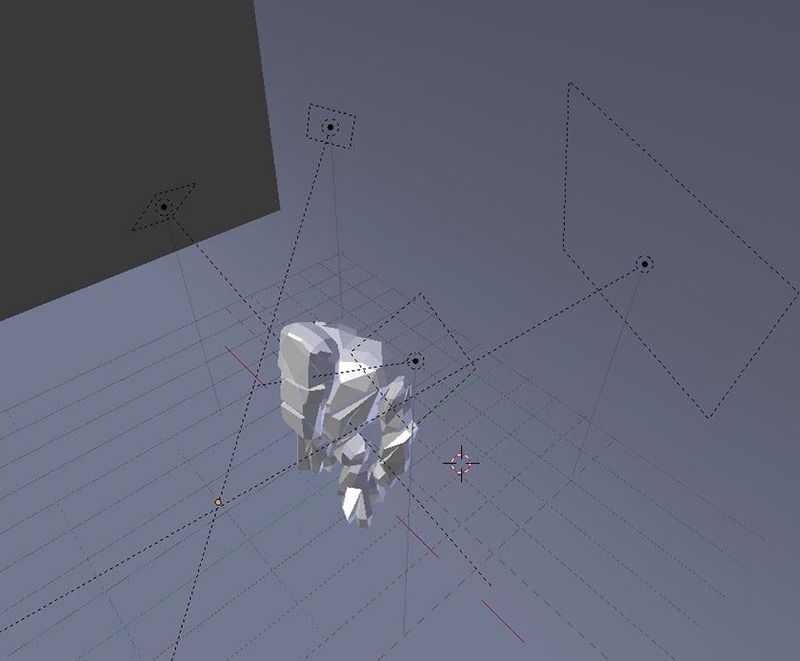 This will allow you to get some basic shapes in quickly. I personally prefer sculpting as I can rotate it around and see it from all angles. Once you are done you can also use this as a guide for modeling your character. A good trick is to establish the most important features of your character and exaggerate them, a LOT. Generally, take it as far as you can without it looking dumb. We then want to scale back less important features as much as possible. This will create simplicity, and yet bring out the complexity of our character. 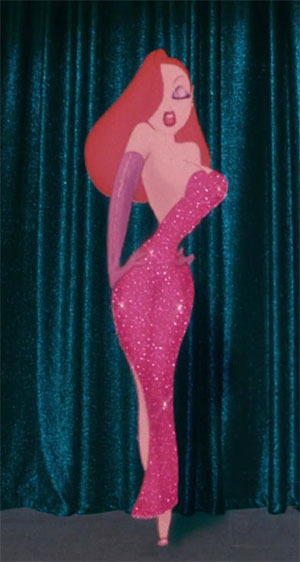 Take Jessica Rabbit from “Who Framed Roger Rabbit” as an example. Ok let’s take a break from the lectures and make a low poly character! After that we will look into some more technical tips for your low poly characters. We will be making this rock figure. He could be an enemy or a boss in a fantasy video game, he probably lives up in the mountains. We could say he was formed by a volcano filled with dark magic, but in that case I would have put some magma glowing from within the cracks. Ok let’s get into it, for this guy, I knew I wanted a rock monster, formed out of rocks. Almost as if the shapes could just be a random rock formation that happens to look like a character. I started with a very rough sketch just so that I would have some idea of what I wanted to make. As you can see it is nothing special at all and generally not something I would ever show 🙂 It’s just for our own reference as we move over to our 3D application. I started messing around in ZBrush using our quick sketch as a reference until I had something that I felt worked nicely as a base. 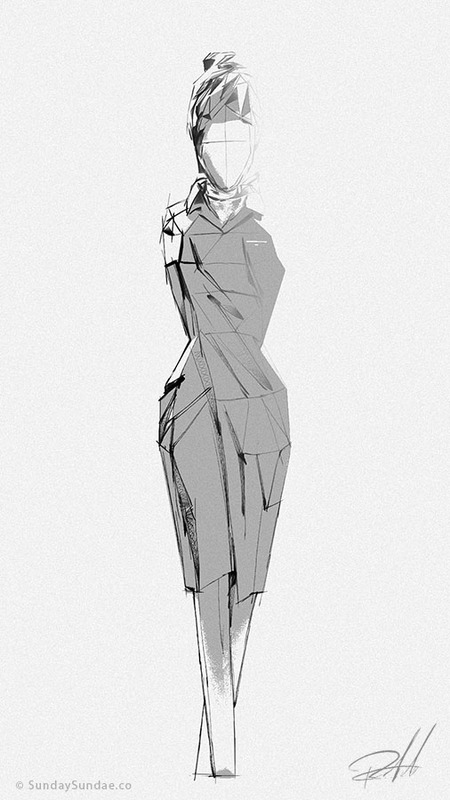 In this step you should feel free to experiment and try different shapes to get a nice readable silhouette. Careful though, it is very easy to get stuck on the details in this stage and forget about this big picture. Remember, we will only be using this as a reference for our actual model, we can take care of the details later. When we are happy with our base sculpt, we want to create a base mesh that we can work with (the sculpt will be way too high poly and impossible to work with). Further down we will look at some techniques for this. This process is called retopologizing. Once we have a clean low poly mesh, we want to start adding details and removing unnecessary stuff. You can of course leave it as it is, but personally I like to get in there and pull vertexes around and “wrinkle” it up a bit for a more pleasant result. Further down we’ll dig deeper into this. This is generally my process for designing low poly characters, sometimes I will skip the base sculpt and just start with a cube etc, it’s faster, but more difficult. So what do I mean by shrink wrap effect? Imagine that you take an evenly distributed patch of polygons, and just shrinkwrap it around your object. This creates evenly distributed polygons wrapping around your object. While this can in some cases be great, and is a specific look, it can easily look a bit bland and flat. A great way to make your art stand out is to avoid this and add a personal touch to your character. I tend to start out with a shrink wrap effect, I then dig in and start to remove edges that are unnecessary and add edges where I want to add a bit more detail. Have a closer look at the images above and below you can see what I did. By removing and adding detail you can help guide the viewers eye to more important areas and filter out what’s less important. A lot of otherwise perfectly fine low poly art tends to fail in the material and lighting stage. 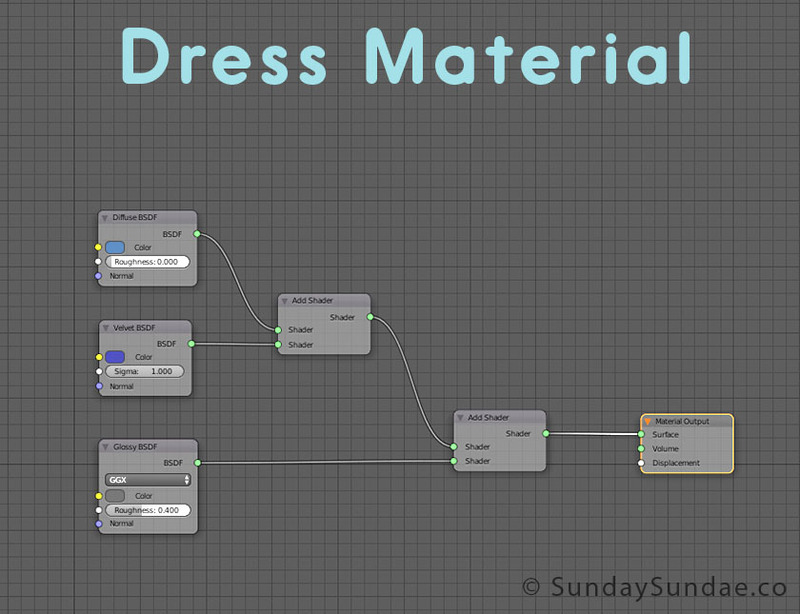 When creating simplistic models it’s easy to assume that the materials should be as simple as possible as well. This is where I disagree strongly. By combining a low fidelity model with realistic or semi realistic materials and lighting, you can get a very interesting and deep image. 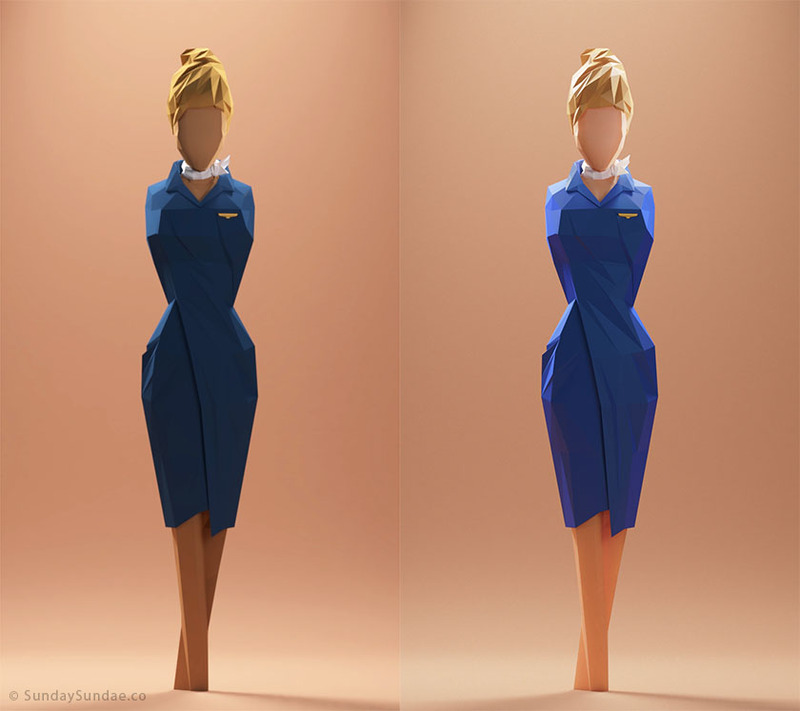 Here’s an example with our woman, on the left I am only using a diffuse shader. It’s quite flat and boring compared to the final result. For the skin in the final image, I used Diffuse, Glossy and Subsurface Scatter shaders. 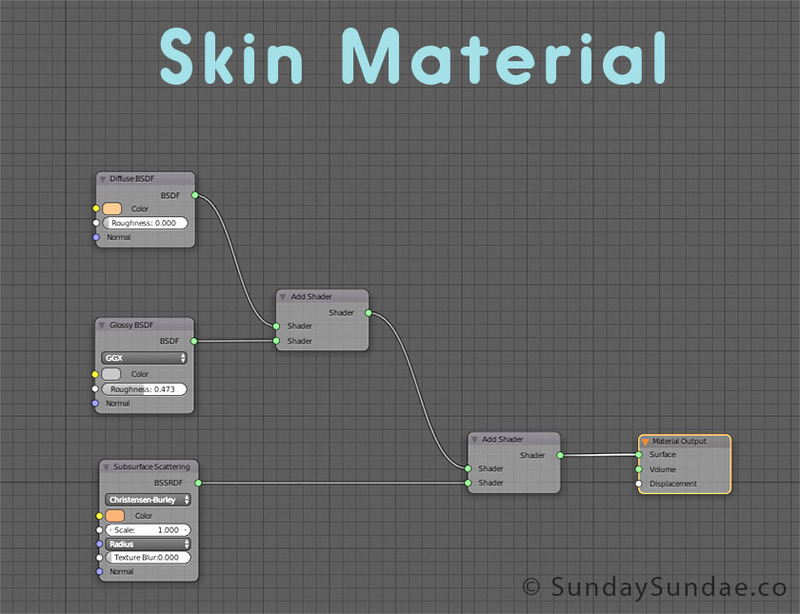 In the image below you can see the shader graph for it. The subsurface is particularly important when dealing with skin. You can also apply it to other things to create a softer look. The dress consists of Diffuse, Glossy and Velvet. I used the velvet to generate a deeper cooler twist to it to get some more variation in the tones. Lighting is just as important as the rest. And it varies depending on your scene, the mood you want, the shape of the objects etc. You will have to try your way forward a lot when it comes to lighting. I generally start by adding an environment sphere as a base light. This can be outside, inside, anything you think will fit the image. It will provide a nice grounded base for your image. Then I’ll add a basic 3 point lighting – A key light, fill light and a back light. Try playing around with the colors of these lights, a common thing is to make the fill light a bit warmer and the back light cooler, you see it in movies all the time. After that I will move the lights around or add more if I need to fill in some areas. I suggest studying images you like with stylized lighting etc and try to replicate it to get a better grasp on how to light. I mentioned earlier that we would take a look at retopologizing your character. The idea here is that we have a high poly, or messy sculpt mesh as a base. We then use this messy mesh as a guide to start drawing out geometry we can work with. In Blender, we don’t have a lot of great tools for creating geo on top of another object, however, there is a neat plugin called Retopoflow which you can download for free here. Retopoflow comes with several nice tools for creating clean topology using a sculpt as a base. Another trick which is even quicker is to create a cube, subdivide it a couple of times or until you have the right resolution for your object. Put this object so that it completely covers your sculpt mesh – and use the Shrinkwrap modifier using your sculpt as reference. 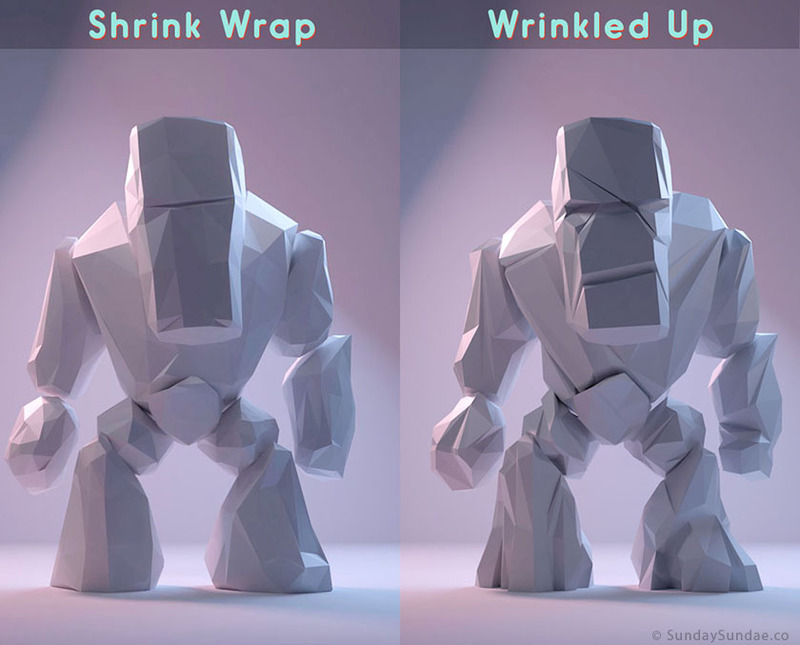 This will literally shrink wrap your cube geo around the sculpt, quickly giving you the right shape but with workable geo. Shrink wrapping works best if you have different pieces for your character, I don’t recommend trying to shrink wrap a cube around a whole character as this might mess it up a bit. Ie do one for the upper arm, lower arm, torso, head etc. If your object has some more complex shapes you might not want to start with a cube, but actually model a rough piece that is sort of representative of the final object but making sure your edge flow is good. 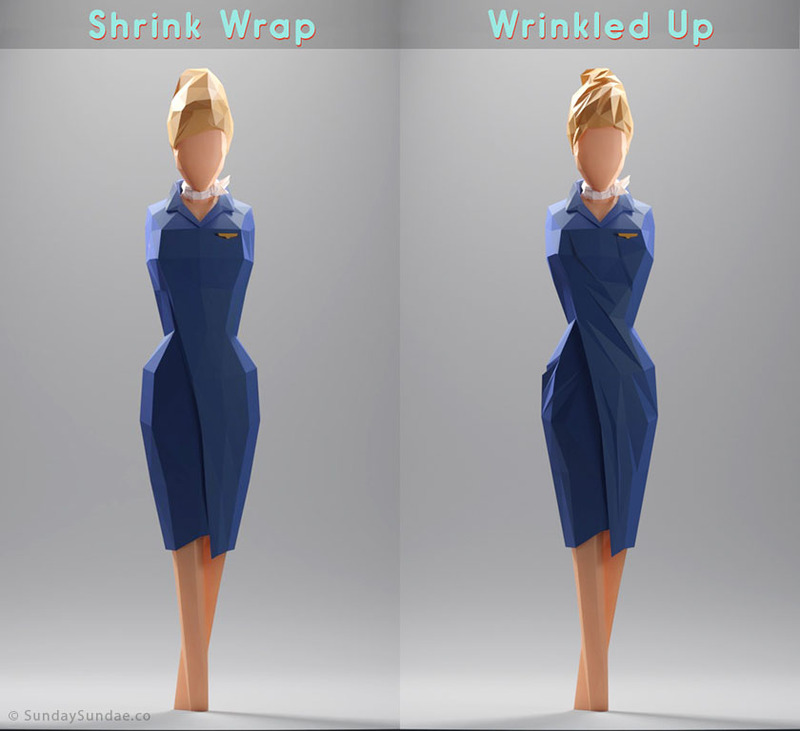 You then shrink wrap that around your sculpt. There are other ways to do it, but for me, these methods cover every aspect I’ve ever needed for retopologizing low poly objects. 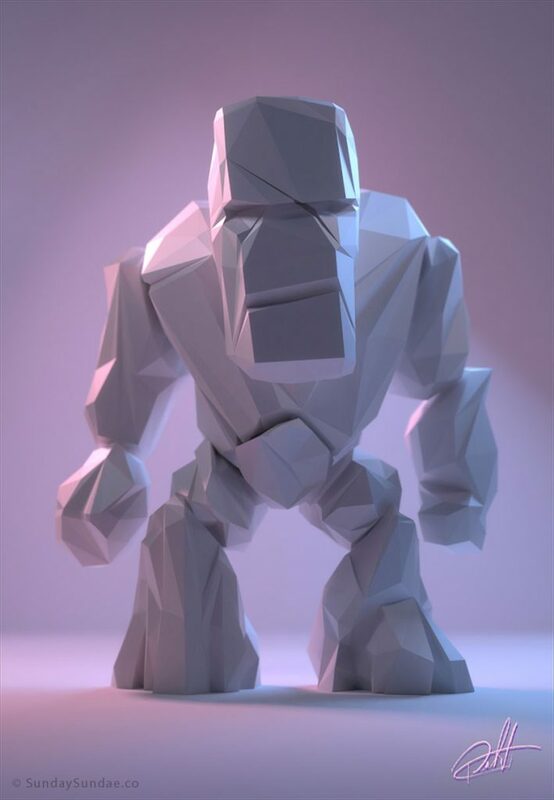 Hopefully this has given you some helpful tips and inspiration for your low poly character! I’ve tried to keep it informative but short, if you feel I’ve missed something major, feel free to drop a comment.